US, 1975, 89 minutes, Colour. Paul le Mat, Dianne Hull. Aloha means hullo and goodbye, an apt title for this rather attractive romantic tragedy which easily transcends the trendy atmosphere and accessories it has been given to attract the youth audience. In fact, Bobby and Rose are not the inevitable teenagers. Bobby is a young man on the verge of responsibility. Rose has a five year old son. Their relationship has substance. The continuous musical soundtrack and the initial focus on cars remind of us American Graffiti, but, like that film, this one is very interested in its characters and their plight and makes us interested. The ingredients are familiar and there is the inescapable American violence. 1. The significance of the title? The reference to Hawaii, as used in the film? Aloha, hello and goodbye? 2. The film's introducing us to the United States, to Hollywood, its look, environment, memories and the present (via the mothers' conversation): American dreams, the tone of the dreams, wistful about the past, hopes for the future? Rose's mother as a symbol of this? 3. The film's introduction to Rose: an ordinary girl, the mother of her son, her hopes, the type of girl? Sympathetic for the audience? 4. The film's introduction to Bobby: playing pool, the ordinary young man, being involved in the bashing, the need to pay back money? The picture of him at work, his skill with cars and love of cars? His friendship? His irresponsibility? 5. How important was the musical commentary during the film? Its tone of rock music, the words, the coinciding of the sound with the sights, especially of Hollywood? An atmosphere of the present generation? 6. 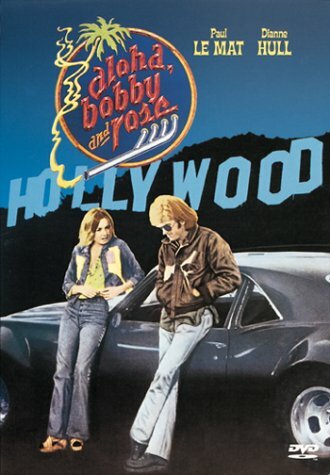 The importance of cars: Bobby's love for them, the sequences of car racing, the ballet of the cars in the streets of Hollywood, the car as an expression of masculinity, skill, power? The police and the cars? 7. The importance of the chance encounter of Bobby and Rose? The car, the time, the rain? The growth of their relationship? The hesitancy and getting to know each other? The different stands, their love of one another and mutual respect? Rose's awareness of her son? The need for responsibility? 8. The melodrama and the horror of the accident? Bobby joking, and yet the reality of the man with the gun? The impact on their lives? The decision or the lack of decision to run? What would have been better? Why? 9. The journey to San Diego, to the harbour, Rose's getting on the bus and her decision to get off? The decision to go to Mexico? The atmosphere of fear, driving along the highway, the police and their help? The police and the atmosphere of menace? Why were Bobby and Rose running away? What for? 10. The importance of the Texans and their befriending of Bobby and Rose? A different style and way of life? Contrast of characters and manner? Some happiness? The nature of the talk? Types? The offering of a future? 11. The return to Rose's mother? The hopes for marriage? The basis for a way of life? For work? 12. Why did fear continue to pervade? The police, the car, the boy? The pressures on both of them? 13. How wise was Rose's decision? Should she have consulted Bobby? The picture of him waiting? The drama of the phone call? 14. The picturing of the police, the seriousness of their attitude, the potential violence? 15. How unnecessary was Bobby's death? His being pursued, his hand and the police thinking it was a gun, the inevitability of the shooting? The sadness at the futility of Bobby's life? The emptiness for Rose? 16. How credible were these two human beings as human beings? Insight into human nature? 17. How credible was the film as a picture of the United States? Way of life, environment, values, violence?